The story about the Ryan Adams heckling incident was to some extent known, but now it has finally come full circle. 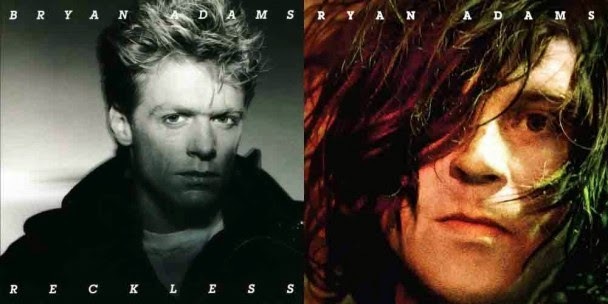 Twelve years ago Ryan Adams was heckled by some person in the audience at the Ryman Auditorium in Nashvile, requesting the song Summer of '69 as a joke to the similarity of Adams' name with the huge Canadian pop/rock star's, Bryan Adams. The heckler was then thrown out with Adams tossing him his $40 back as a refund. Four years ago the band returned to the venue to be heckled again, without any throwing out or money tossing happening and last night, as the band played the Ryman venue again, Ryan Adams out of the blue performed a solo, stripped to the bone, acoustic performance of Summer of '69, surprising everyone in the audience. It's a great genuinely heartfelt tribute to the 1984 hit, oozing with nostalgia and perfectly matching the arcade machines in the background.